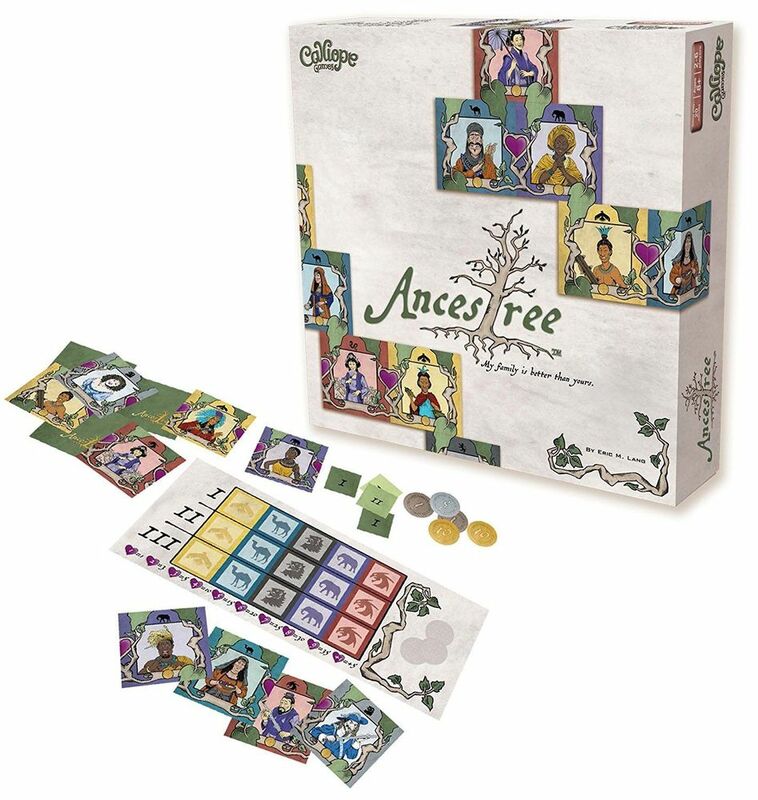 From Calliope Games: "Ancestree™ is an elegant tile drafting game designed by Eric M. Lang, illustrated by Larry Elmore and colored by Adelheid Zimmerman. In Ancestree™, it’s late at night and you’re in the historical archives proving to your rivals that you have the greatest lineage of them all! Your search reveals fascinating ancestors within your family tree; wealth, power and the occasional black sheep of the family are all there. 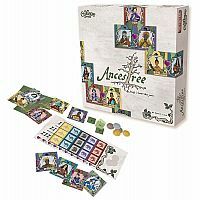 In Ancestree™, players get to build their personal family trees! 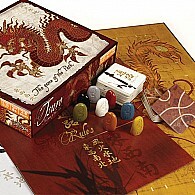 During each of three rounds, every player begins with a hand of 6 Ancestor tiles. They choose one and pass the remaining tiles to the next player. The chosen ancestor is then added to the family tree, connected by leaves or hearts. Once 5 Ancestor tiles have been added to the tree, the round ends. 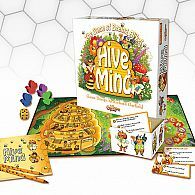 Players compare their family tree to those of their neighbors and gain points for the longest connected generations and for coin icons in their tree. 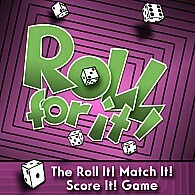 After three rounds, players gain bonus points for all the marriages they have created. 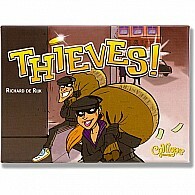 The player with the highest score wins!"